There is a total of 5 customers waiting to be notified when stock arrives, join them. 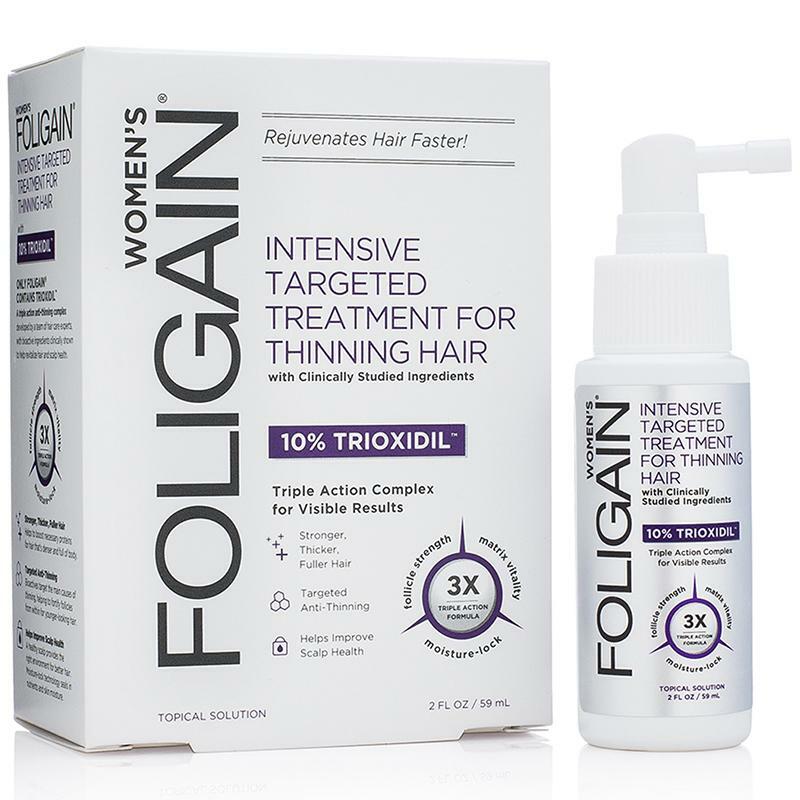 A twice-daily, triple-action Trioxidil treatment, bolstered with DHT Blockers, that slows hair loss, and promotes lavish targeted growth, beautiful hair and a healthy scalp. Apply 4 sprays to the scalp twice per day, directly to the area of hair loss or thinning. Massage into scalp with tips of fingers for several minutes. Leave on scalp for at least 4 hours, but can be left on indefinitely. NOTE: Read full warning label prior to use. Propylene Glycol, Aqua, Butylene Glycol, Dextran, Acetyl Tetrapeptide-3, Trifolium Pratense (Clover) Flower Extract, Polysorbate 80, Glycerin, Hydrolyzed Jojoba Esters, Citric Acid, Panax Ginseng Root Extract, Arginine, Acetyl Tyrosine, Arctium Majus (Burdock) Root Extract, Hydrolyzed Soy Protein, Polyquaternium-11, PEG-12 Dimethicone, Calcium Pantothenate, Zinc Gluconate, Niacinamide, Ornithine HCl, Citrulline, Glucosamine HCl, Biotin, PPG-26-Buteth-26, PEG-40 Hydrogenated Castor Oil, Apigenin, Oleanolic Acid, Biotinoyl Tripeptide-1, Lactic Acid, Milk Protein, Copper Peptide, Aloe Barbadensis (Aloe Vera) Leaf Extract, Allantoin, Pisum Sativum (Pea) Sprout Extract, Serenoa Serrulata (Saw Palmetto) Extract, Equisetum Arvense (Horsetail) Extract, Lecithin, Retinyl Palmitate (Vitamin A), Tocopherol (Vitamin E), Ascorbyl Palmitate (Vitamin C), Panthenol (Vitamin B5), Phenoxyethanol.